The history of Cuckoo Electronics started in 1978 and originally incorporated as Sunkwang Electronics Co., Ltd. Its corporate identity was formally changed to Cuckoo Co., Ltd. in 2002 reflecting its major export brand name which had been in use since 1999. The company's headquarters is located in Yangsan. In the year 2010, Cuckoo Electronics has put an effort in developed water and air purifier industries, and have a dream to bring the quality lifestyle, joy and happiness to each family. Therefore, Cuckoo has its achievement Rice Cooker being sold every 10 seconds and water purifier being sold every minute. Through the journey of 40 years, Cuckoo has established its brand and awareness, now, its time for Cuckoo to explore the South East Asia market with Malaysia as its center point of its exploration. Hereby together we join and wish Cuckoo to fulfill its dream to provide the Beyond Standards lifestyle to each family in South East Asia. 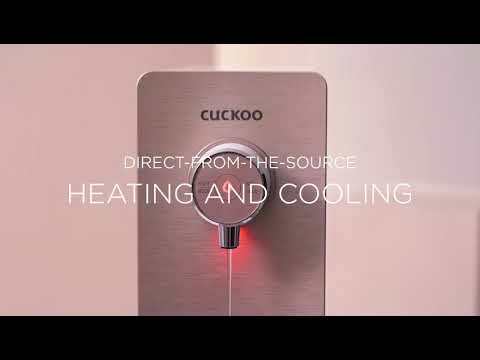 Cuckoo the most slimmest, tankless and unique Rose Gold model in 2018 - Prince Top! With its special instant 3 seconds heat up and cooling function to provide you hot, cold, and various of warm temperature range from 40°C - 70°C.